Millennials have been buying Snap more than they have been selling it. Snap is set to report earnings following Tuesday’s closing bell, and both millennials and baby boomers seem to like the stock. Shares are up more than 1% ahead of the results, trading just above $US14 apiece. Meanwhile, Wall Street is slightly less optimistic on the stock, giving it a consensus price target of $US12.27, according to Bloomberg data. That’s about 13% below its current level. Moffet Nathanson analyst Michael Nathanson has a Street low price target of $US6. 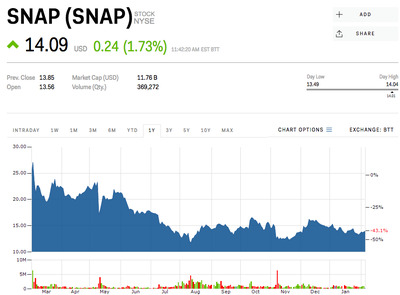 clusterstock earnings millennial invest millennials moneygame-us sai snap inc.